Trees are felled with a feller buncher, that uses either a shear head or saw head to cut one or more trees at a time. 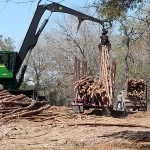 The shear head or saw head can bunch several trees together before they are laid on the ground. 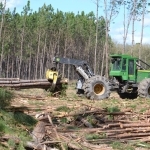 The trees are sorted by the feller buncher operator while cutting the timber and is sorted into several products, these being: pulpwood; large chip-n-saw; small chip-n-saw; ply logs and poles. 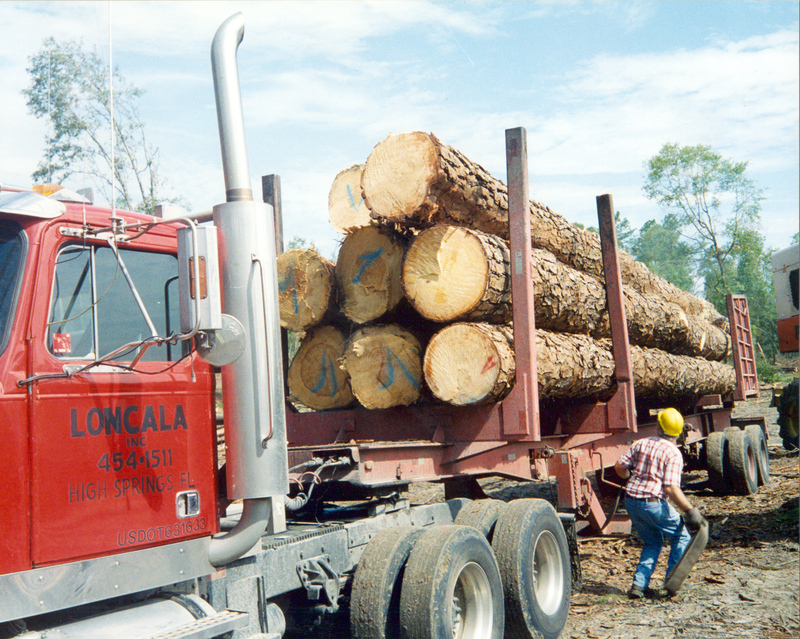 The timber is then laid down on the ground waiting to skidded to the ramp area. 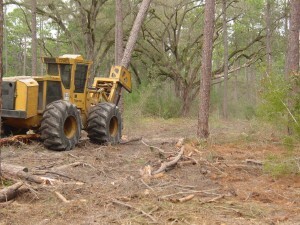 The trees are pulled to the ramp area by a skidder. 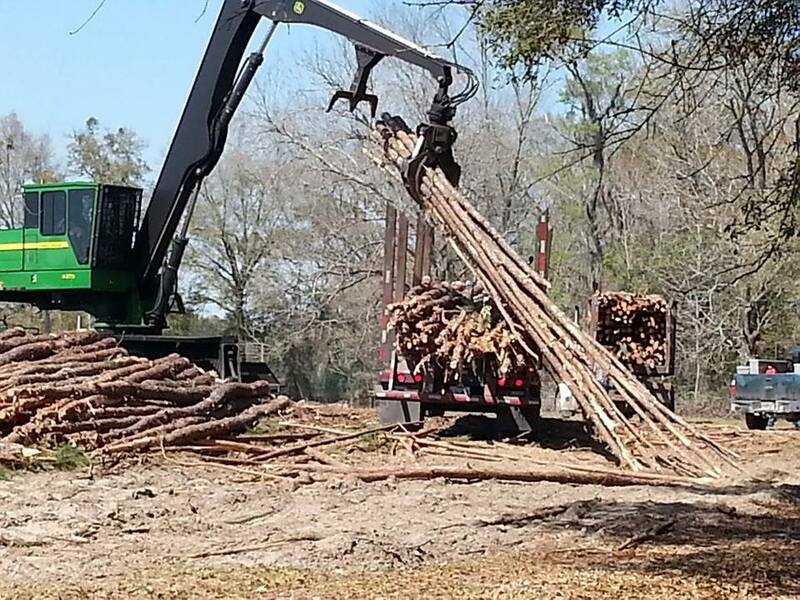 Before being pulled to the ramp the trees are backed through a limbing gate to knock off limbs and branches. 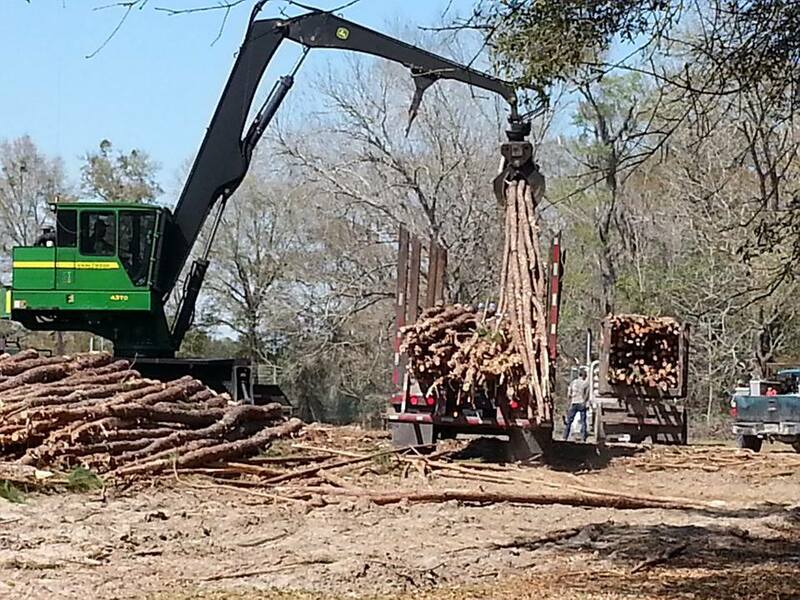 Then the trees are pulled into the ramp area by product. 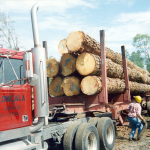 Pulpwood is pulled to the log loader for loading the trucks. 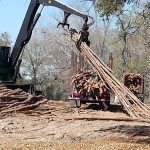 Trees are once again sorted by product using a log loader and are ready to be topped. 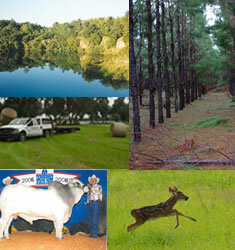 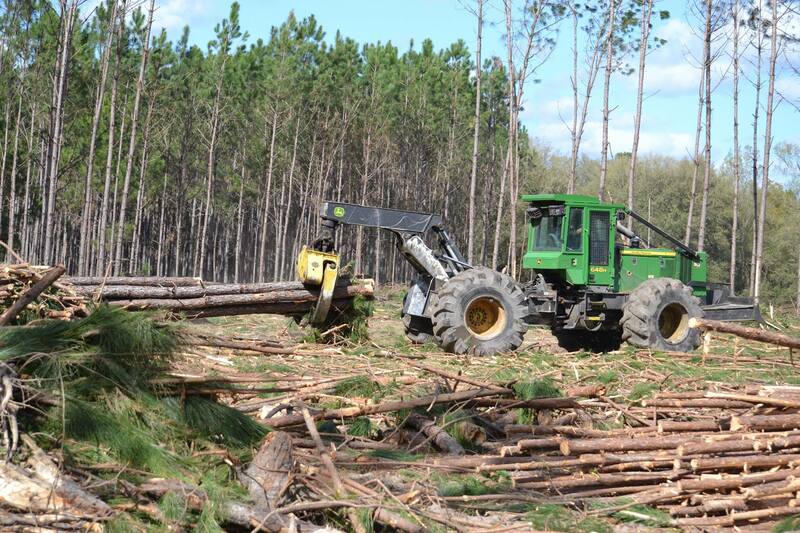 This is the final sort of product done by the loader operator to utilize the trees to their highest and best use.